The story of Dima and Oksana is a classic boy-meets-girl story, with one twist: the music. The two met five years ago and fell in love, but for awhile, their relationship was just that. But in 2009, they took their relationship to a new level. 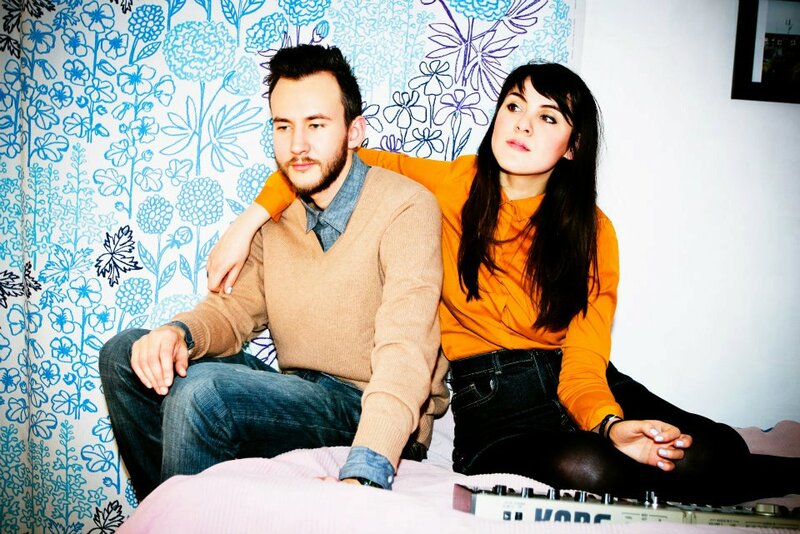 This is when Oksana and Dima started to record music together, an endeavor which gave birth to a bedroom-pop project, Moscow-based Magnetic Poetry. And in this project, the individual histories of the two amalgamated in a unique and fitting way. Where Dima is concerned, he admitted that he went through a variety of musical experimentation and phases before ending up where he is today. The way Oksana sees it, she had always surrounded herself with music, but never thought that making some of her own could be a reality. In fact, it took Dima’s insistence for her to realize that she was capable of being a musician. “I got into making music very slowly. I just couldn’t understand that it may actually work and all the efforts can pay off,” she said, sharing how Dima’s urging was sometimes what gave her the necessary boost to write lyrics and record vocals. “It was hard to believe that it could lead to what we have now; it was hard to believe in us, in myself. Another factor making things unnecessarily difficult is the musical scene in Russia, which isn’t entirely conducive to fostering the kind of music Magnetic Poetry makes. The DIY quality of making indie music in Russia can be a double-edged sword though, particularly when the bands only have themselves as a sounding board, which can lead to the members obsessing over the recorded product. “Each new track we’re trying to make better than previous,” Dima said, explaining how the two often record various versions of a song to find the one they like best. As for the songwriting itself, that process begins with music, and extends outward to incorporate lyrics and vocals, which are then integrated into the songs. The words Oksana pens are, naturally, in English. While there is a staunch division between bands who write Russian lyrics and those who write English ones, it has always been evident to Magnetic Poetry what language they should use. The band arrived in Berlin today for its first show of a three-week tour across Germany, the Netherlands, Austria, Switzerland and France. While it’s not the first time either have been in Berlin, it’s the first time for them playing in the city, something which they promised to one another they would do on their return together. “For me the best thing about Berlin is the fact that everyone is so relaxed here. In Moscow you feel constant stress, but in Berlin, cafes and bars are full in the middle of the weekday and everyone seems so fine,” Oksana said, sharing the appeal it has for her. And after the tour ends, the two have plans to head back to Moscow and furiously write more songs, a process that is largely possible because of the encouragement they derive from one another. Magnetic Poetry plays tonight at Magnet Club in Berlin. The show begins at 22.00. This entry was posted in Interview and tagged Feature, Interview, Magnetic Poetry, Russian. Bookmark the permalink.